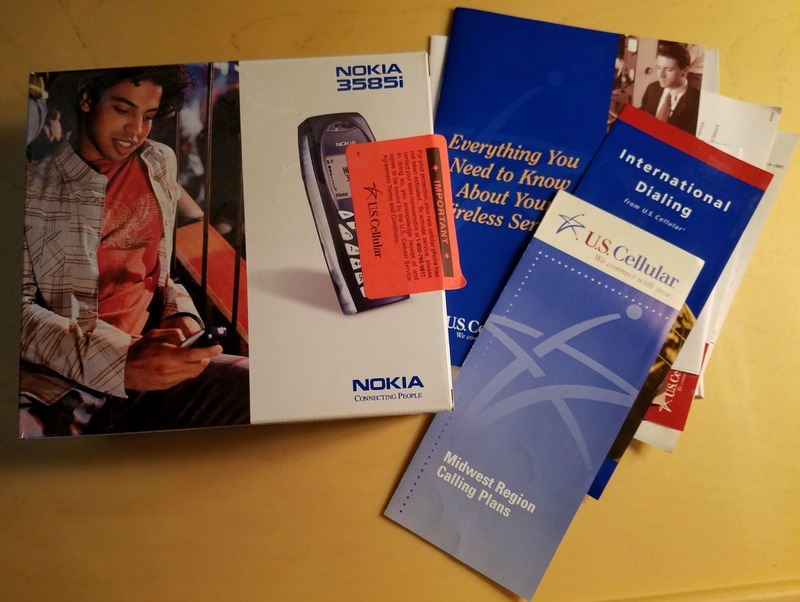 It is the box to a Nokia 3585i “candybar” style phone from 2002. This is a CDMA phone for the US Cellular network. Note the literature that explains regional calling plans! Times sure have changed! In the late 1990s, I took a college class in computer hardware repair. It was one of the useful classes I’ve ever taken. Because of that class, for years, I’ve been able to work on my own computers. I have saved money adding my own hard drives and upgrading memory rather than hiring someone else to do it. 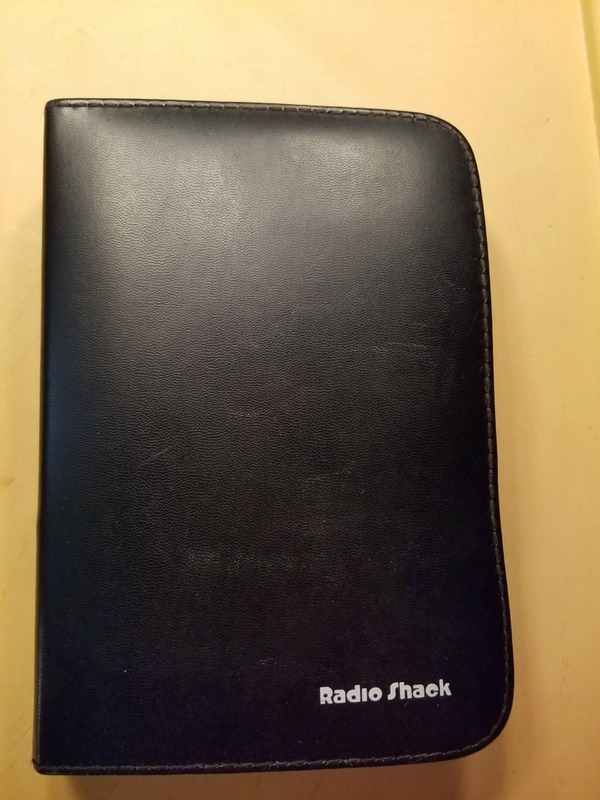 I took this picture today of the computer repair kit that I bought at RadioShack (remember them?) around the time I took the course. 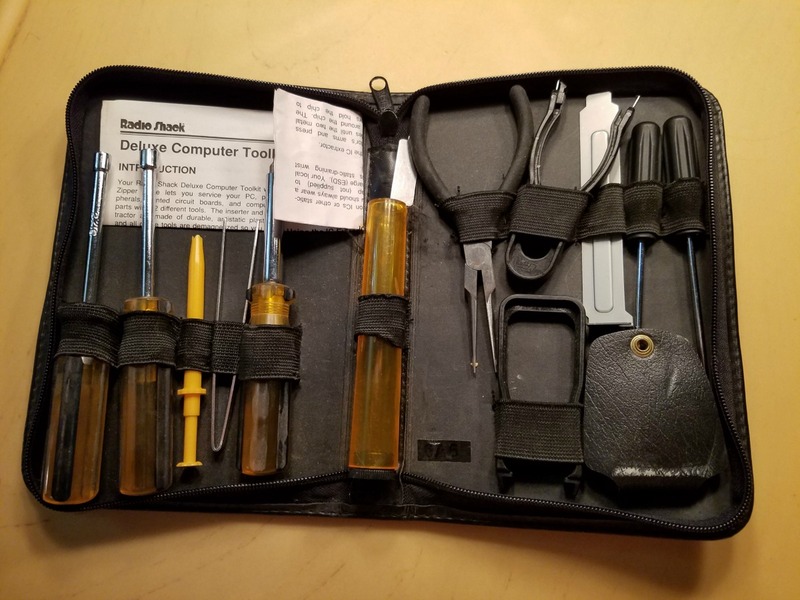 I’ve been using the same tools for 20 years now. Here is what the contents of the case look like – notice that you can still see the instruction sheet in the kit. The object in the right-hand corner is a fold up magnifying glass. Lots of fun memories here. 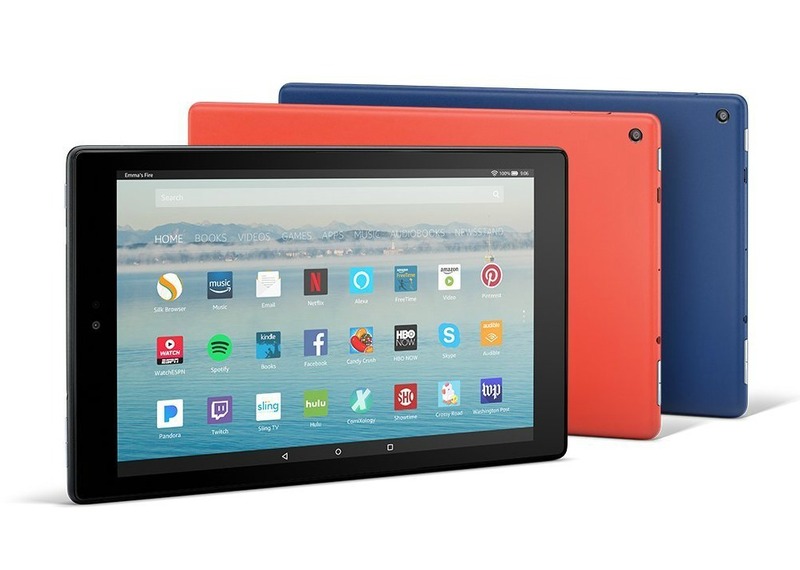 Amazon has announced an all-new Fire HD 10 Tablet. 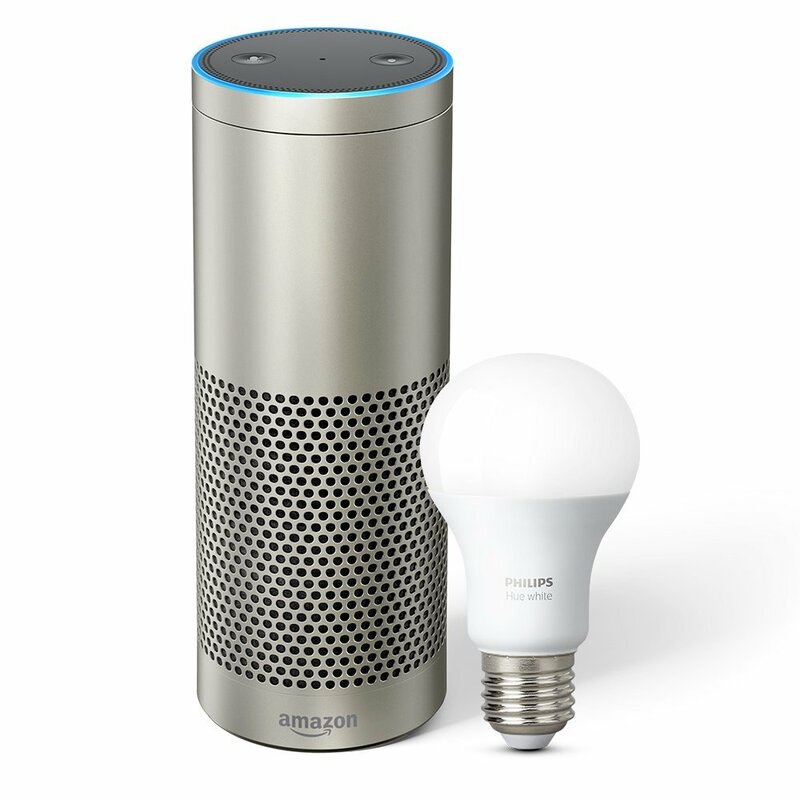 The 10.1″ tablet comes with Alexa Hands-Free and features a 1080p full HD Display (224 ppi). 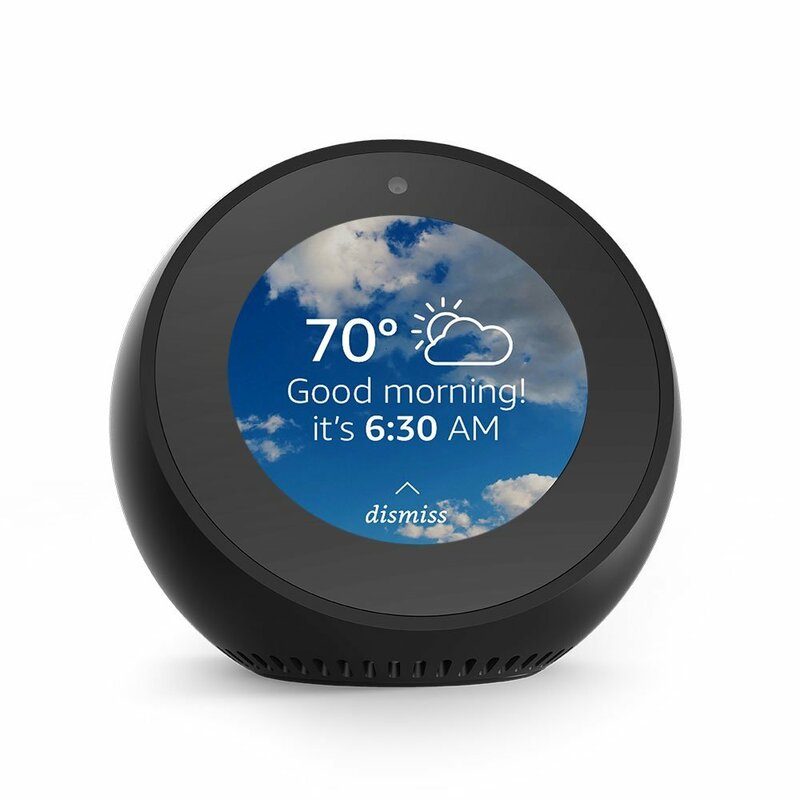 At only $149.99, Amazon has shaved over $80 to $100 off the price of the old Fire 10. The previous generation only had a 1280 x 800 display (149 ppi). The new tablet is 1920 x 1200 (224 ppi). The old Fire had 1.5 GHz processor, the new one is a faster 1.8 GHZ. Old tablet cost $229.99 to $259.99, this one is $149.99. 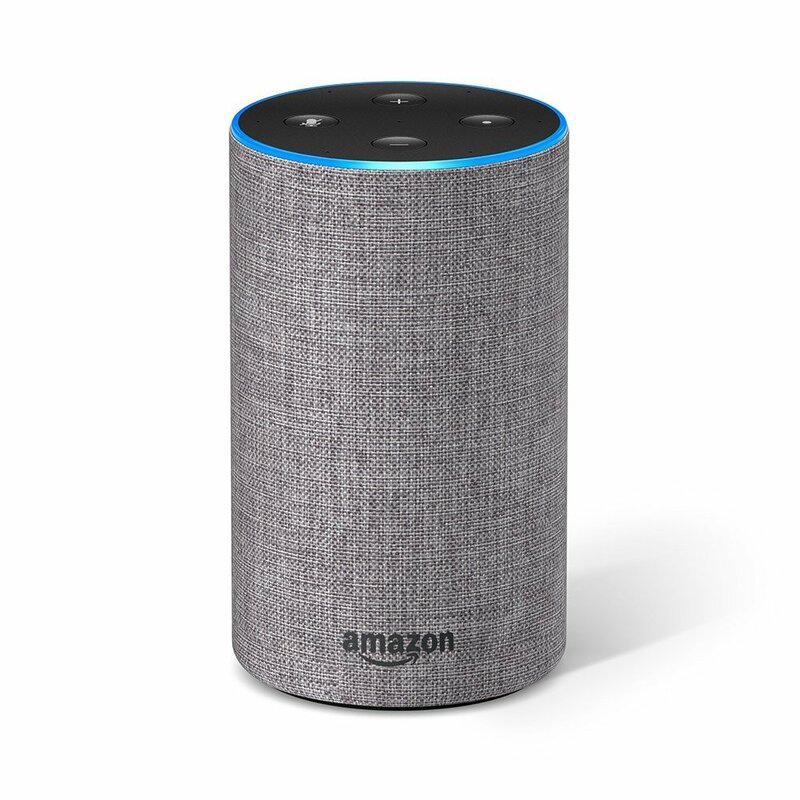 The previous generation required you to push the home button for Alexa, the new tablet will be voice-activated and hands free (after an update). The new Fire weighs 2 ounces less and is marginally thinner than the first version. 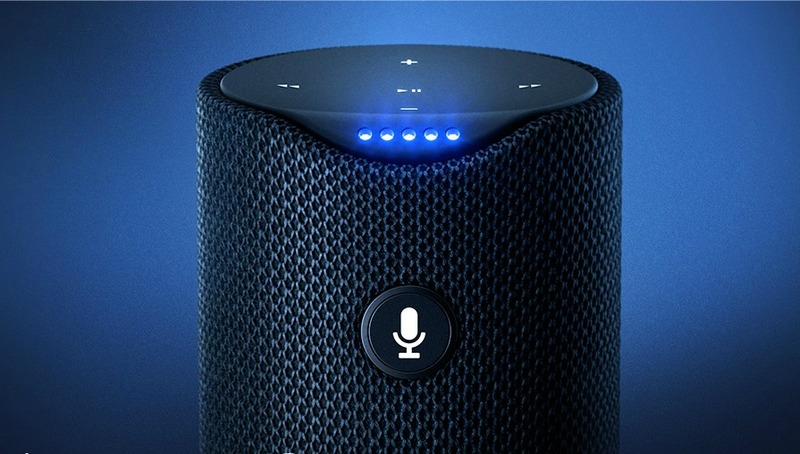 It also promises better battery life. In order to bring this tablet in cheaper than the previous version, Amazon did seriously downgrade the cameras in this device. The new version has VGA Front-facing camera and a 2 MP rear-facing camera with a 720p HD video recording. The previous Fire had a 720p HD Front-facing camera + 5 MP rear-facing camera with full 1080p HD video recording. Since most people do not buy these tablets for the cameras anyway, this will probably not be a deal-breaker. I passed on the previous tablet model because at only 149ppi, it didn’t offer a good enough resolution for reading and watching video for my tastes. This one may be a different story. There are no third-party cases and covers for the new tablet available yet, but given past experience, new one should be popping up soon. 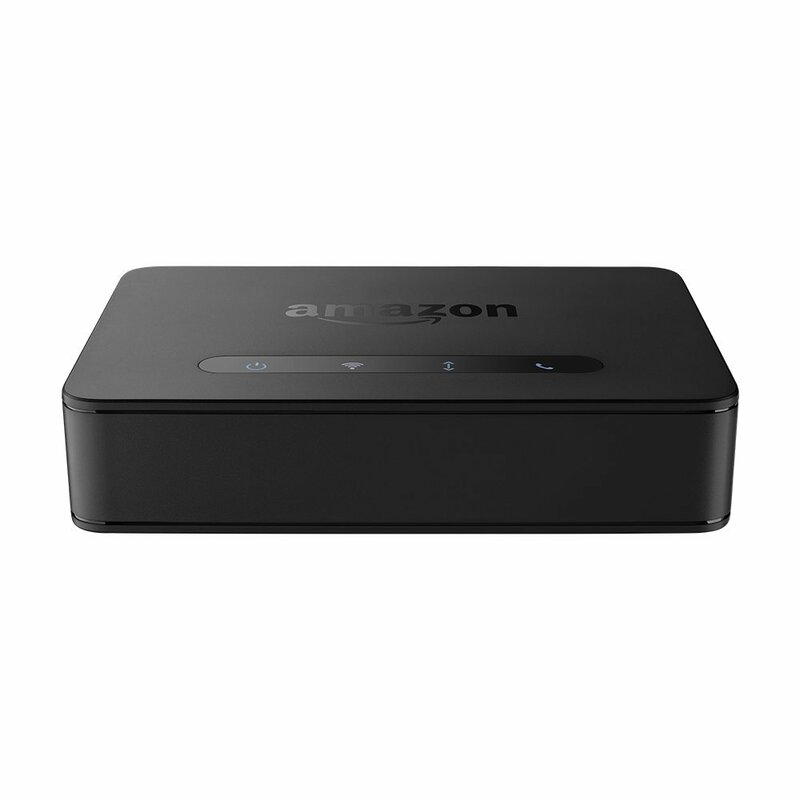 The new Fire 10 HD will be released on October 11, 2017. 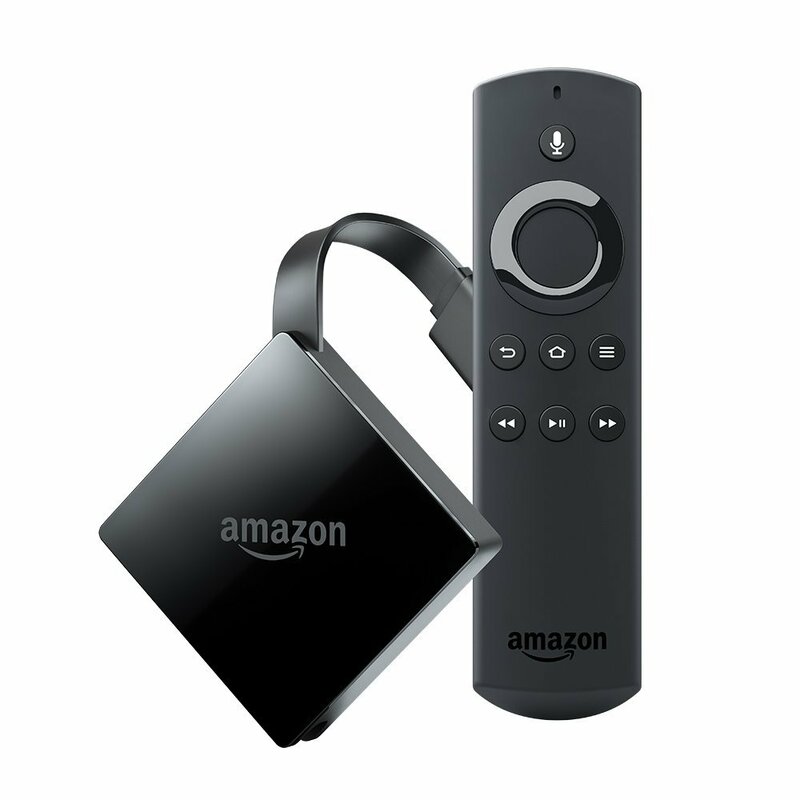 Amazon is offering the tablet on a payment plan of 5 monthly payments of $30.00. You can pre-order the tablet here. What do you think of the new tablet? 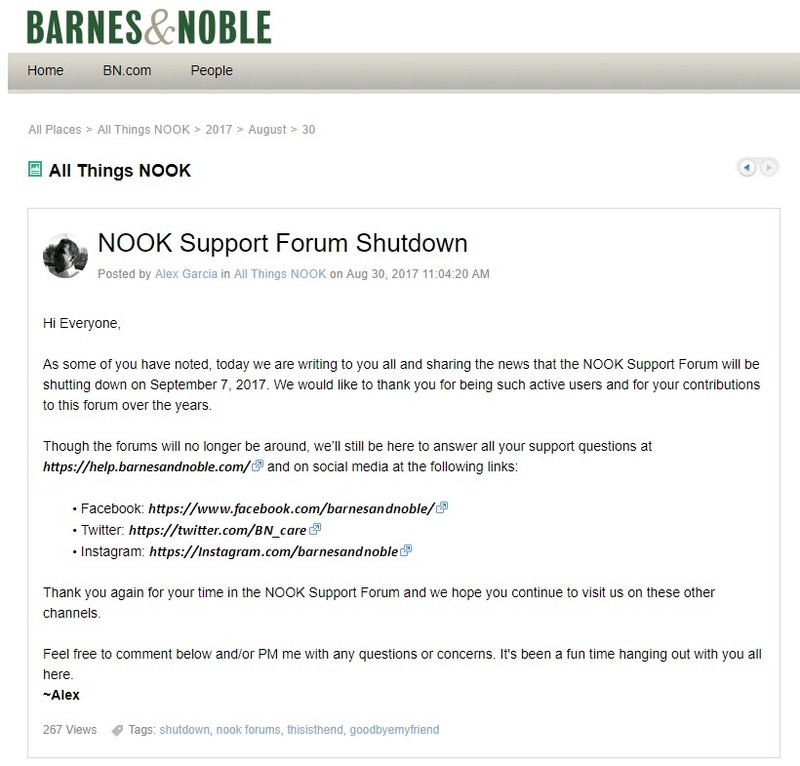 As of September 7, the official NOOK forum at Barnes and Noble is shutting down. From the posts on the site, it seemed that posting activity had dwindled to a small number of posts. Users of the forum received an email on the closure. If you are looking for another forum, there is still an active community of Nook users at NOOKBoards. You can also find discussions for Nook users at the NOOK forum on mobileread.com.